Project: Eden Gardens, Beirut Lebanon. Construction: A & H Construction & Development Company and Avenue Ventures s.a.l. 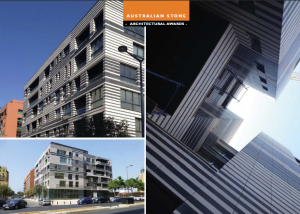 Description: over 5000 square metres of honed bluestone facade cladding, diamond sawn paving, honed window sills, soffits & reveals.